What is the 888Sport Mobile App? When you hear the name 888, if poker comes to mind you are not alone. Nevertheless, 888 has recently put more effort into developing robust sports, casino and bingo offerings, alongside a new 888Sport mobile app that can be downloaded for iPhone and iPads, and can be accessed through your web browser if your using an Android device. 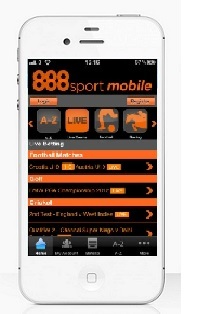 While the design of the app is not the most visually appealing (the bright orange is a bit hard on the eyes), when you want to bet on you mobile 888Sport is tough to beat when it comes to simplicity, functionality and ease of use. “Bet and Get” is the tagline at 888, and when you download 888Sport mobile betting for iOS or Android devices, you will get £88 in free bets and a £5 mobile no lose bet. If you own an iPhone or iPad, you visit the App Store to download the app. If you’re using an Android device like Samsung, Nexus or HTC, you can visit the 888Sport mobile site from your web browser by visiting www.888sport.com/Android, or by scanning the QR code at www.888sport.com. 888 offers up a variety of bonuses and special offers that are constantly updated to coincide with major sporting events. When you sign up as a new customer with 888 you’ll be entitled to £88 in free bets just for, and an additional £5 No Loss Bet when you place your first mobile bet on the 888Sport mobile app. 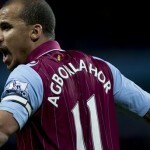 To claim the £5 No Loss Bet you need to place a minimum £1 bet with odds of 1.5 or greater. If you lose your bet, 888 will refund it up to £5. Is the 888Sport mobile app the best? If you are looking for a no-frills, but decent and robust sports betting app, then 888 might just be the app for you. The layout is clean and finding your way around the app is simple enough. The latest version includes a wider range of markets and live events, a integrated bet slip that helps you keep track of your stakes, as well as a live score and statistics page so you’ll always have the latest sports news at your fingertips.